A Notary public is appointed by the State government, e.g., Secretary of State, Governor, or Lieutenant Governor. In some cases they may also be appointed by the State Legislature. Their job is to act as witnesses to the signing process of different legal documents. They are there to confirm the identity of the person signing the document. A notary public cannot offer any legal advice or prepare legal documents, with a few exceptions such as Puerto Rico and Louisiana. In some states such as Florida notaries may draft protests against promissory notes and dishonored checks. In most cases a notary may also attest or certify a facsimile or a copy. Offices that deal in documents that need notarization such as, law offices, auto dealerships, lenders, insurance brokers and health care providers, often employ a notary public. However, it is not feasible for individuals to employ a notary public and this is where a mobile notary service comes in to play. 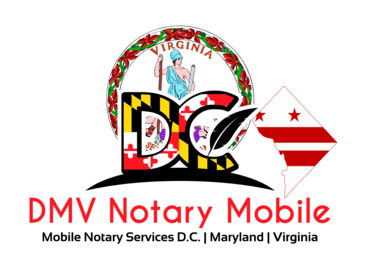 How Can Mobile Notary Public Help You? All individuals need a notary public at some point in time because it is mandatory for many transactions and legal documents to be notarized. Finding a reputable notary public can be time consuming especially when you need one within short notice. If you don’t already have a notary public in your staff then a mobile notary service is just what you are looking for. Mobile notary service providers will travel to your location and at a time that is suitable for you, saving you precious time and money. We are a certified notary public who will come to you whenever or wherever you need notary services. Trusts, which means setting the money aside to be used for a specific purpose. Deeds are documents that are used to transfer or sell property. Wills that distribute a person’s possessions and property after his/her death. Medical documents specifying the kind of treatment that a person wishes to deny or request in case the person is incapacitated by an injury or illness also need to be notarized. These documents are also called “living wills” or health care declarations. These documents need to be notarized in order to ensure that there are no disputes about the health care provided to the person and that the doctors are able to fulfill the person’s wishes. Health care proxies should also be notarized. These are documents that allow another person to take health care decisions on the patient’s behalf if the patient is not in a state to take his own health care decisions. Power of Attorney is a legal document that gives the power to a person to act on behalf of another person in case of his absence. Whether Power of Attorney is universal, limited only to certain acts, or for a specific amount of time, it has to be notarized. It is absolutely necessary to notarize a power of attorney for it to be accepted by courts of law, corporations, and banks. Agreements taking place between parties that are not present in the same place also need to be notarized in order to ensure that the person signing the document is the same person whose name is in the document. A document that might not need notarization if both the parties were present in the same room could require a notary public to notarize the document because the parties are in different cities. It is the job of a notary public to ensure that the documents are signed by the same people who are named in the documents. This is absolutely necessary because it eliminates the chance of people falsifying signatures or entering legal agreements without their free will. A mobile notary signing agent will make it easier for you saving you precious time and money.